Want the convenience of fresh bread without it going stale or growing mold? Freezing bread or bread dough can make your dreams come true. Ok, it’s not that great but it is nice to have on hand at a moments notice. There are three stages at which you can freeze bread. Bakery bread is usually fresh but still needs to be frozen as soon as you get it home for best results. Wrap well in moisture-vapor proof plastic wrap with an outer layer of tin foil or in a plastic bag. Freeze homemade bread, like my sandwich bread, after cooling it. Slicing is optional but allows you to pull out only the quantity you need. Make sure you pick the freshest bread you can find for best results. You can freeze store bough bread in the plastic it comes in if you plan to use it within 2-3 weeks. Bread wrappers are not designed for the freezer. For longer storage you need to wrap the bread better, remove the air from the container and use a moisture-vapor proof material. Freezer-grade plastic wrap and tin foil work great. You can also use a plastic freezer bag or vacuum sealer. Flash freeze the bread for an hour or two on a cookie sheet before using a vacuum sealer so the bread does not get flattened. A 1 pound loaf takes about 3 hours at room temperature, leave the loaf in it's wrapper until thawed. You could thaw 30 seconds at a time in the microwave. Keep checking because every microwave is different. And give it a few seconds without the power on for the heat to get to the middle, or you’ll have a cold center with overcooked outer edges. Slices can thaw in 5-10 minutes at room temperature on the counter, and can be uncovered. Sliced bread can be toasted without thawing. Only partially baking bread is not recommended for yeast or quick bread loaves. Just bake those until done and call it a day. Rolls and buns however, because they are so much smaller, can be baked to the point that they have risen but not browned. Most recipes can be baked at 300F for 15 minutes or so. 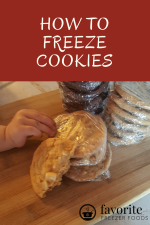 Let them cool before freezing individually on a cookie sheet. Package and label with type of bread, date and reheating instructions. To reheat take your frozen rolls or buns and put them in a preheated 400F oven for 10 minutes or until golden brown on top. Snug wrapping materials help the bread freeze faster by getting rid of the insulating effect that the air space, sometimes called ’dead space,’ inside a loose fitting bag creates. Thus snug wrapping means a faster freezing so smaller ice crystals form and you get better quality. 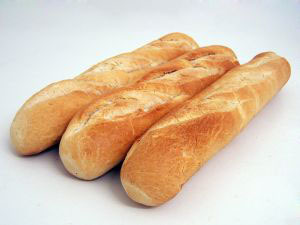 Freezing does not improve quality, if the bread is stale when frozen it won’t get any better. Freeze bread as soon as you get it home, or cooled if it’s homemade, for best results. Is it humid where you live? Humidity can cause condensation and make your bread soggy as it thaws. Try putting a paper towel or two in the bottom of the bag or wrap the paper towel inside the plastic freezer wrap to absorb the moisture and keep your bread dry. If you make your own bread let it cool completely before freezing it so it freezes faster and there is less condensation. How long can you freeze bread? That depends on the quality of the packaging materials. 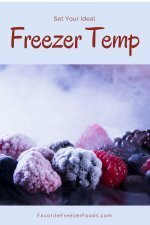 These are guidelines based on a freezer set to 0F or lower. Bread kept longer than I recommend is not necessarily bad but may start to lose quality. Bread doesn’t lose nutrients in the freezer if properly packaged and not oxidized or freezer burnt. Yeast dough however loses it’s ability to rise as it stays in the freezer and may fail if kept too long. What other bread products can I freeze? Bagels, pitas, waffles, pancakes, tortillas, crepes, biscuits, muffins all freeze well. Try to use them within 4 months and package well. Return from Freezing Bread to the homepage of Favorite Freezer Foods.